Sgt. Earl M. Miley, son of Mr. and Mrs. Earl A. Miley, attended Laing and Frederick Schools. Entered Marines in Nov., 1942, trained in Camp Elliott, and San Diego, Cal. 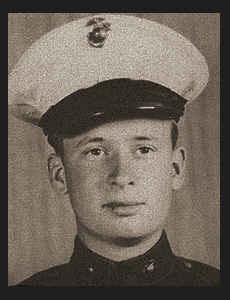 ; served in New Zealand, Australia, Hawai, Tarawa, Saipan, Tinian, the Marshalls, the Carolines, Okinawa and Japan; was wounded in action in Nov., f1943 in Tarawa; is now discharged. Awarded the Purple Heart, Asiatic Pacific Ribbon with three Batle Stars, Pres. Unit Citation.